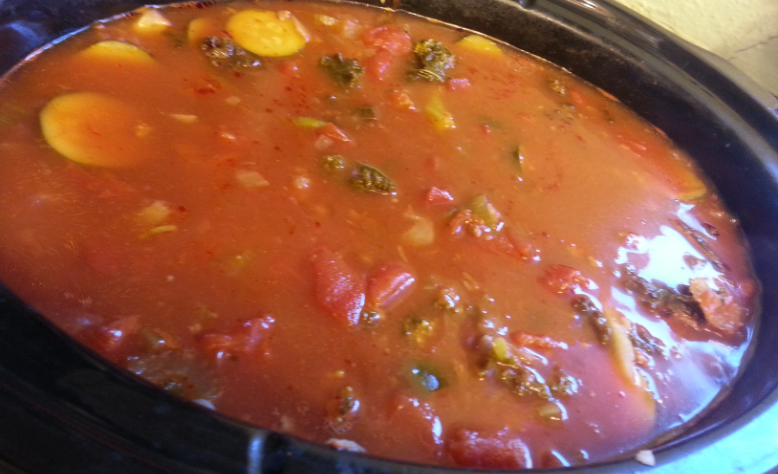 Low Carb, Slow Cooker Soup Recipe! 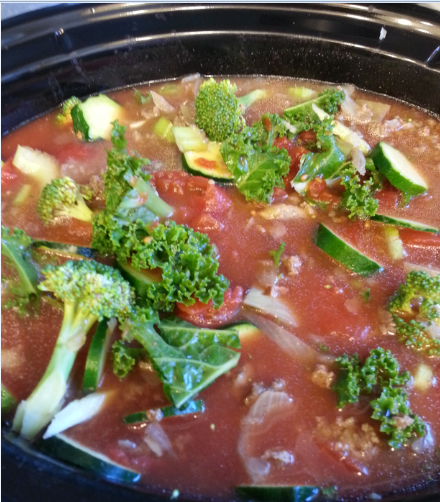 You are here: Home / Recipes / Crock Pot Recipes / Low Carb, Slow Cooker Soup Recipe! It was 25 degrees here this morning – that is way too cold for this Florida girl turned Texan! Perfect soup weather, though! I thought I would share my simple recipe for soup! Since my weight loss all of my cooking (and eating) is low to no carbs. So, I added up all of the carbs in all of the ingredients and divided by the servings we got out of it and I got 8 carbs per serving. Generally 60 or less carbs a day is considered “Low Carb”, so, 8 carbs for one meal is great! I always keep plenty of tomato paste, sauce, and diced tomato cans on hand for soups and sauces. I can often find great deals on them and I stock up! So, I started my soup with a couple of cans of diced tomatoes and a can of tomato paste, and a few cans of water (it helps to rise all of the paste out of the can and thin the paste down) in the Slow Cooker . 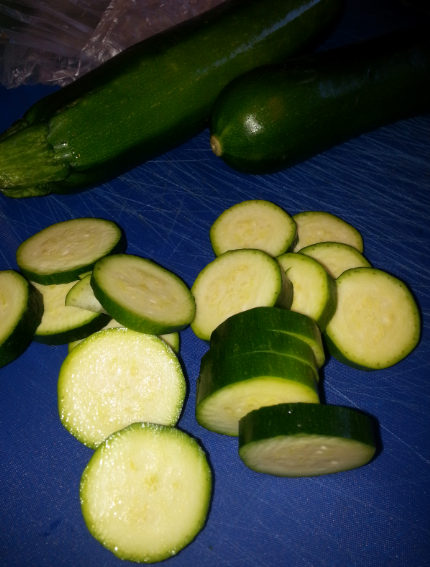 Then I looked in the fridge to see what veggies I had. 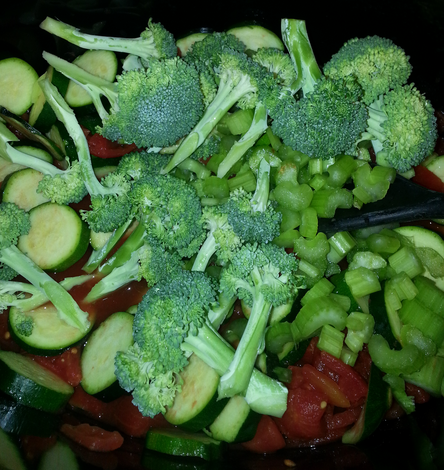 I found Kale, Zucchini, Broccoli, Celery, and Onion – perfect! So, I chopped up all of the veggies (except the onions) and threw them in the Slow Cooker with the tomato mixture. I then grabbed a pound of hamburger meat and browned it with the onions – now, I like onions, so I used 2 pretty large ones. Once that was browned, I added it to the mixture and turned the Slow Cooker on high, and let it cook 8 hours on low – it can be done in much less time on high. 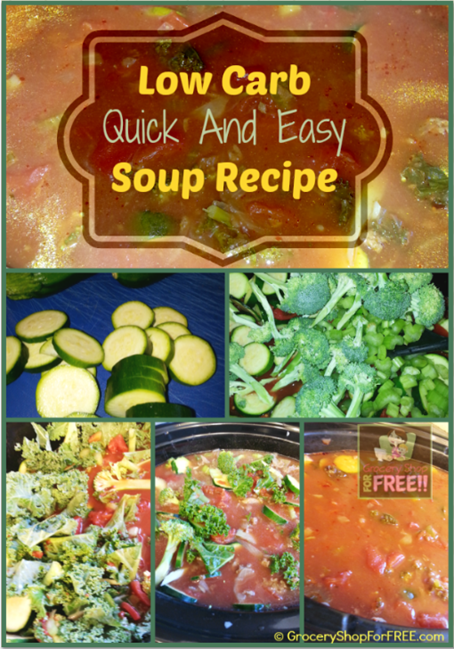 That’s my Low Carb, Hearty, Healthy, Quick And Easy, Slow Cooker Soup Recipe! Hello, I would love to make this soup tonight, but I have a few questions. What size cans of diced tomatoe and paste do you use? How many cans of water do you add? Instead of water, can I use chicken stock? I am not sure I would add chicken stock to the tomato paste and diced tomatoes, it may not be great. I add water to fill my large crock pot, I usually do a few cans to “wash out” all of the tomato paste stuck in the can. I used cans that are 12 oz – I hope that helps!